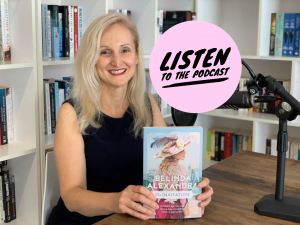 This week Cheryl Akle is joined by Belinda Alexandra to discuss her new novel The Invitation – a mesmerising tale of two sisters and the dangers and seductions of excess. Together they discuss Belinda’s journey as a writer, and the people, places, and stories that inspire her work. Belinda Alexandra has been published to wide acclaim in Australia and New Zealand, France, Germany, Holland, Poland, Norway and Greece. She is the daughter of a Russian mother and Australian father, and has been an intrepid traveller since her youth. Her love of other cultures and languages is matched by her passion for her home country, Australia, where she is a volunteer rescuer and carer for the NSW Wildlife Information and Rescue Service (WIRES).